​﻿Nicole Bowers (Owner/Manager, Piano teacher, Music for Young Children teacher) has played piano for most of her life and has been a full-time piano teacher for over 10 years. She is a Music for Young Children (MYC) teacher, and also enjoys teaching private students of all ages and musical ability at Happy Bird Music Studio. When Nicole is not teaching piano, she keeps herself busy as a freelance musician with the KeyNote Duo. She is also an oboist and has held the first oboe chair in the University of Ottawa Concert Band and the Ottawa Community Concert Band. Nicole continually pursues professional development by continuing lessons herself and attending conferences and workshops. University of Ottawa music students frequently observe Nicole's music lessons as part of their music education courses. In her spare time, Nicole is an avid reader, aspiring songwriter, fusion cuisine-ist, occasional yogi, and coffee enthusiast. Heidi O'Hagan (Piano teacher) studied piano for 10 years and started teaching at Happy Bird in 2017. She enjoys introducing piano and getting students excited about learning. In particular, Heidi likes working with students on confidence and overcoming learning anxiety, having had experience with this herself! She has a masters degree in psychology and currently works as a counsellor. In her free time, she does martial arts, enjoys a wide variety of books, and develops art projects for the studio. Chris Pond (Piano teacher, guitar teacher, drum teacher) is a Musician, Composer, Producer, Songwriter and Educator from St.John’s, Newfoundland. He has been teaching music privately and in a classroom setting for the past 7 years, with experience teaching Bass/Drums/Piano/Guitar/Theory and Improvisation. Chris completed a Bachelor of Music degree from St.FX University, where his main focus was Jazz Performance. His musical interests, though, are wide reaching; He has been involved on the east coast scene with a diversity of groups and genres including Pop, Jazz, Bluegrass, Hip-Hop, Funk/Soul. His own music borrows from all around the world, including musical elements from (but not limited to) Brazil, Cuba, Argentina, Morocco and Uganda. With his friendly and individualized approach to teaching, Chris always communicates lessons in a way which encourages his students to have fun and to be creative. Besides music, Chris' interests include cycling, cooking and painting. 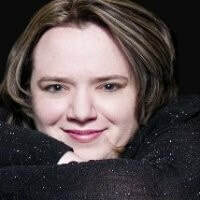 Mélanie Hartshorn-Walton (Voice teacher, guitar teacher, piano teacher) M.Mus, McGill University, B.Ed, Classical Guitarist and Mezzo Soprano, has performed nationally with groups such as the Summer Opera Lyric Theatre, Opera by Request and the Calgary Opera. As a Music Educator, Mélanie enjoys working on musicianship with all students. She also adjudicates at many music festivals. She co-founded Hartshorn-Walton-Music.com with her husband Keith. Together they provide live Classical and Jazz music entertainment throughout the Ontario, including Concert Series. She performs as Melanie E., a jazz ensemble with a French twist. Mélanie teaches v‎oice and guitar, as well as brass and piano and more! She coaches and prepares for auditions and exams, teaches band and choral at the secondary level and adjudicates for music festivals. Did we mention her love of penguins?